Versital manufactures made-to-order bar tops and work tops ready to install. Versital bar tops are hard wearing and resistant to stains, they can be cut on site and are easy to install. Being hard wearing and hygienic it is ideal for the challenges bar tops face every day. Each bar top and work top is unique to customers requirements and costs will vary. Please contact us for a personalised quotation, call 01204 380780 or send through a contact form. Our hand made cultured marble finishes offer a fantastic alternative to real marble bar tops. 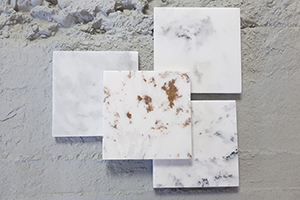 Our Carrara style marble finishes are an extremely popular option for having a realistic marble finish that looks fabulous, but is 100% waterproof and stain resistant. As a bonus it is also a very competitive solution. We offer free of charge samples to see for yourself. Over 90 unique finishes. Versital gives the option of true to life marble and granite look bar tops, whilst remaining completely non-porous and stain resistant unlike the natural material. Design and install the look you want, without the problems. Practical alternative to reamarble and granite tops – all the look and non of the problems. Easy to keep and stain resistant. When specifying a new installation, it is important to choose a product that is great value for money now, and over it’s lifetime. The beauty of a solid surface bar top from Versital, is that they can be repolished and refurbished numerous times after installation, extending the lifespan of your initial investment. No specialist equipment is required, and we can advise you how to do this yourself. Bar tops are hard working areas and you will want to keep them looking their best. The protective gel coat also makes Versital bar tops exceptionally easy to clean, only requiring a gentle cleaner. The gel coat also has built in anti-bacterial properties to deal with everything a tough bar environment can throw at it. Versital Bar Tops are ideal for use in many commercial situations. These include bar tops and work tops for Golf clubs, sports clubs, Coffee Shops, hotels, restaurants, Pubs, Clubs, Disco’s, Airports, Caravan Parks, Pubs, Retail Parks, Theme Park’s Gym’s and beautician’s. 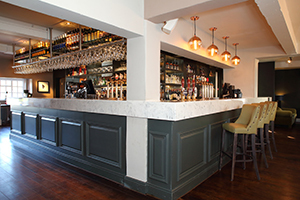 Have a look at some of our past bar projects. Versital bar tops are manufactured to spec, either from given dimensions or technical diagrams provided to us. Alternatively, with curved tops we can also manufacture from template. Templates should be provided to us on MDF or paper. Your top can also be either curved or straight. There are two main options to choose from; straight drop edge and bull nose edge detail. Please down load the bar top specification sheet to view in more detail. Take a closer look at past projects using Versital. For guidance on installing Verstal, or in the unlikely event carrying out a repair, take a look at our instructional ‘How to’ video’s. Bar Top Examples and Past Bar and Nightclub Projects. Versital offer a range of natural looking marble and granite finishes, as well as a range of fabulous sparkle surfaces. These surfaces are perfect to create high quality bar tops.